An energetic tourist’s day in New York | Cinema, etc. I’ve recently come back from a short break in New York and I can’t help but wish I’d gone much sooner in my life. 32 is far too late to visit this wonderful city! On one of the days, I managed to pack in a huge amount of activities and walking into one day. To achieve this you will need to be moderately fit – I run half-marathons so my stamina is certainly up to it, whilst my wife regularly does assault course races and boot camps. The result is approximately 10k of walking, taking in four of the cities most renowned landmarks. 07:30 – Starting from our hotel on 77th and Broadway in uptown Manhattan, we set off for the 9/11 Memorial Museum and World Trade Centre via the 2 or 3 subway line. 08:00 – Beforehand we got breakfast at the nearby Hudson Eats, an upscale eatery in Brookfield Place that will satisfy any palet and any amount of hunger. We allowed an hour for this so arrived at 8am. 09:00 – We pre-booked our ticket for the museum at 9am but this wasn’t totally necessary – it was quite easy to get in. You just need to know that the museum is adjacent to ground zero of both the north and south trade centre. It isn’t overly obvious where it is but there are loads of helpful staff members to guide you in. It’s a truly important and essential piece of New York’s history and can’t be missed. I’d leave about 3 hours to get around this place. You don’t want to rush it. The afternoon was all about visiting Liberty Island and Ellis Island, including the world-famous Statue of Liberty. 12:00 – We set off from the museum on foot at midday, allowing ourselves 20 minutes to get over there. There is a ferry operating from Battery Park, which allows you to get to Liberty Island and then venture on to Ellis Island whenever you’re ready. The official website is at Statue Cruises. You want at least the “reserve” tickets, though buying sooner will guarantee entry to the pedestal (the base of the statue) or to the crown if you buy around three months in advance. 12:30 – The queuing situation there is pretty abysmal. It’s pandemonium and the people working there have no idea about how to be helpful. 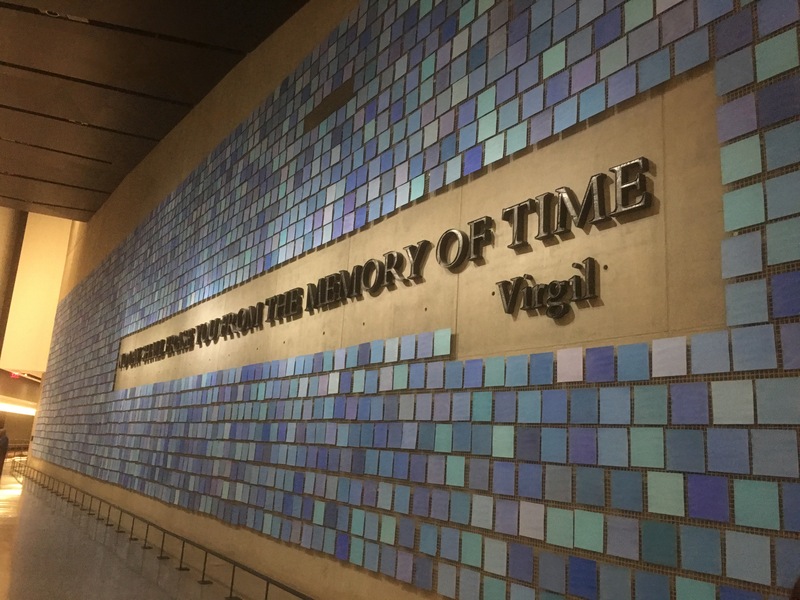 In contrast to the brilliant help we got at the 9/11 memorial, here we were told incorrectly to queue in two different lines before ignoring both pieces of advice and using our own logic to work out where we needed to go. Essentially, if you have pre-bought, go straight to the main queue that says “reserve” in big lettering. 13:00 – Once on the boat, head for the top deck on the right hand side near the front for the best views and photograph opportunities on the approach to the statue. The photo below is from the top left, so we got the best views too early in the journey. 13:30 – For an additional challenge at the statue, try walking or running up the staircase. You’ll probably feel a burn at the top but you’ll save queuing time. The statue itself is pretty stunning. Take a moment to soak in the grandness of it. There are lots of people everywhere taking photos and this is important, but like all great monuments it’s easy to forget to look at and absorb it. 15:00 – After getting your photos, it’s time to leave for Ellis Island. This is essentially a museum about immigration, which is really informative and educational. However, we didn’t spend too long here – most of it can be learned about in books or online. Sorry guys! It’s nothing personal!! 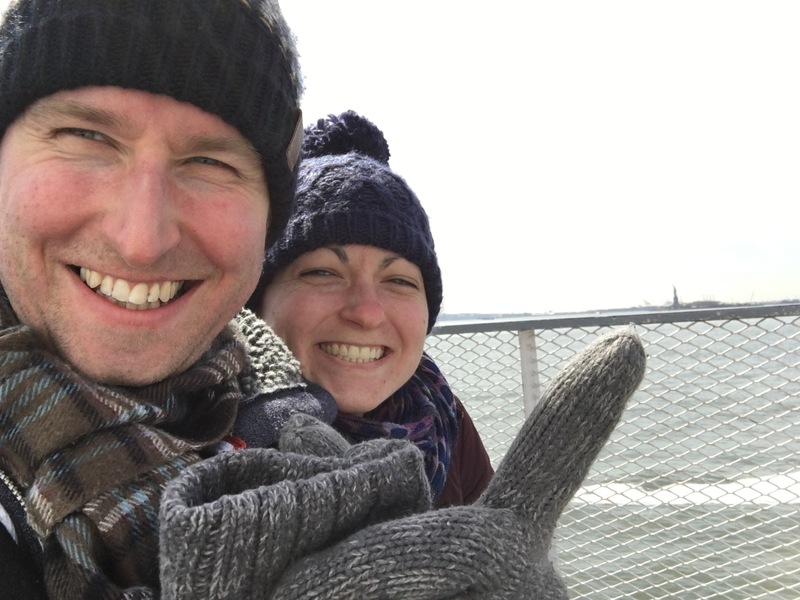 16:00 – Take the ferry back, being sure to follow the signs for Battery Park, New York rather than Jersey. One of the cliche activities in New York is so popular simply because the views you get are so beautiful, though you won’t see those until later in the evening. 16:30 – Setting off from Battery Park, set your target for Park Row at the North end of the Brooklyn Bridge. Once there, find the Brooklyn Bridge Walkway (signposted) and set off on your trip over the bridge. There’s no rush here. Indeed, rushing is nigh on impossible with such large crowds. 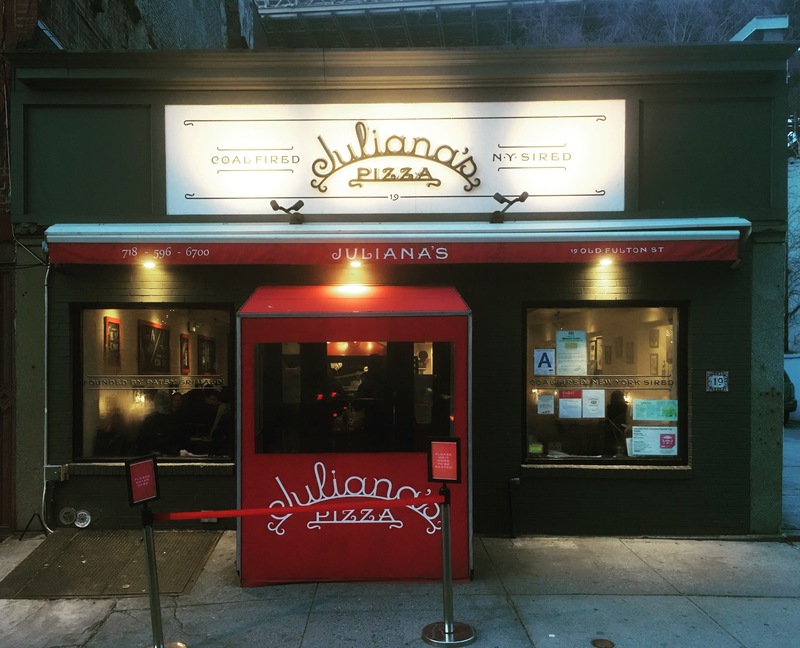 17:15 – At the other side of the bridge, waiting for you is probably the best pizzeria in New York, Juliana’s Pizza. It’s located at 19 Old Fulton St, Brooklyn, NY 11201. Trust me, after all that walking you’ll be glad of the sit down. We were able to split a large pizza in two by having completely different toppings, and the total price – with two alcoholic drinks and a sizeable whole apple pie for dessert – was still only $60 including tax and a tip. 19:30 (or later depending on time at restaurant) – Walking back along the Brooklyn Bridge is the time when you’re really rewarded. The whole of Manhattan is now completely lit up and you get in the best uninterrupted views of the main centre of the city. Bask in it and feel your enriched life thanking you for excellent life choices. Evening walk = 1600m to Park Row, 2414m to Juliana’s Pizza, 2500m back across the bridge to your favoured subway station. 21:00 – By the end of the day we were both absolutely tired out and ready for bed. The sense of achievement and knowledge we’d maximised our time in the city whilst getting fitter through walking was wonderfully satisfying. Total walking distance = 7801m plus exhibition walking plus a 27m or 73m climb inside the Statue of Liberty. Next Post → Secret Cinema X event 2017 – What is it?